Walking over lava in Fortnite should really result in some damage being taken, however, fans have discovered a new bug that is keeping them untouched on the fiery surface. 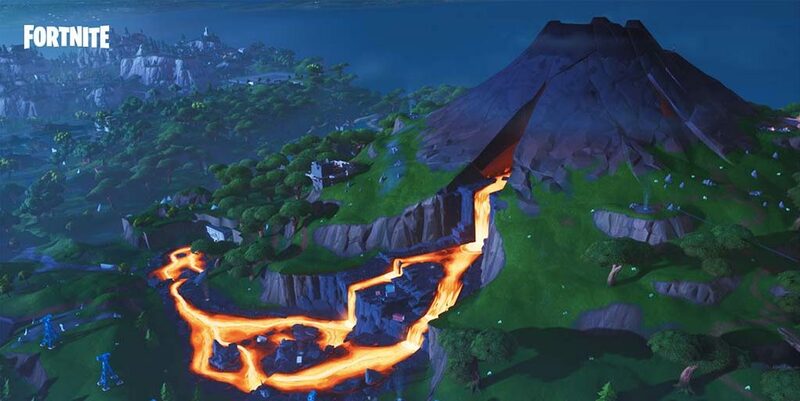 In a post to FortniteBR subreddit, user PattyGamer05 showcased just how they were not taking damage by walking on the Volcano’s lava. In the video, PattyGamer05 used the new Conga line emote to cruise over the Lava in a partying fashion. While the player should take damage from the lava, they don’t – allowing them to continue emoting over the incredibly hot surface without taking any damage to their health. Watching on, it looks almost as if they were gliding over the top of the lava. After the post received over 1000 upvotes on Reddit, more and more attention was drawn to the clip. This prompted Epic Games’ Community Coordinator Sean Hamilton to drop in and post a few words on the new glitch. Comment from discussion Conga plus lava what could happen?. Considering Epic stepped in to give a quick response to the issue, we can figure that this bug is definitely an error – and not just a really bad spin on the popular ‘the floor is lava’ game. While the newly-added Volcano is currently a popular destination for players, if you’re going to try and conga across the flames – please watch out for enemies who may try and scoop you up as a free kill. If you are going to try and conquer the flames using your disco moves, let us know how you get on in the comments below.